"Go through the Amazon world and make purchases"
Developer: Amazon Mobile LLC is based in United States	- Developer recommended by Google Play. Ranking: The TOP 5 Most downloaded applications in Amazon category. The interface is not that intuitive. 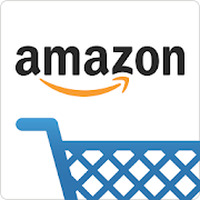 Do you like Amazon for Tablets? Now all is needed is more tablet support!